This German Shepherd nicknamed Halo sold and went to a new family. 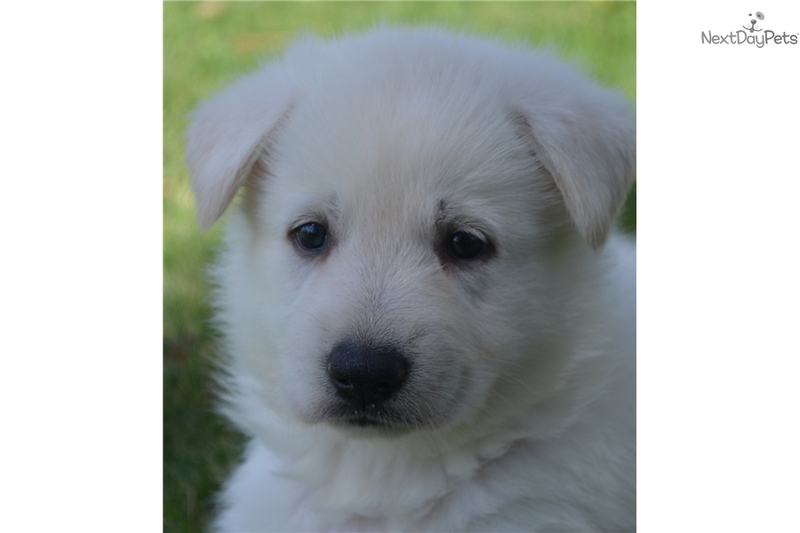 Halo is a gorgeous rare white plush coat female. 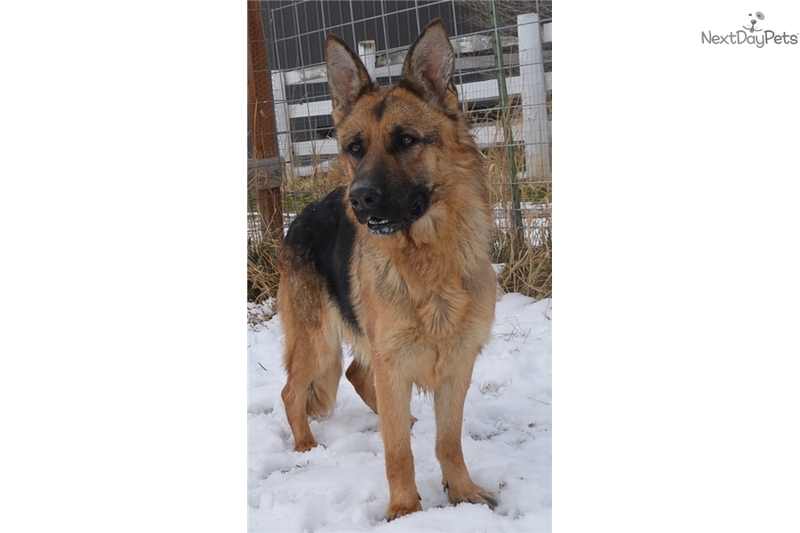 She already adores everyone she meets and would be wonderful for a family with young children. She is priced at $1000 limited akc or $1200 with show/breeding rights. Please read below for more info about Halo and her littermates. 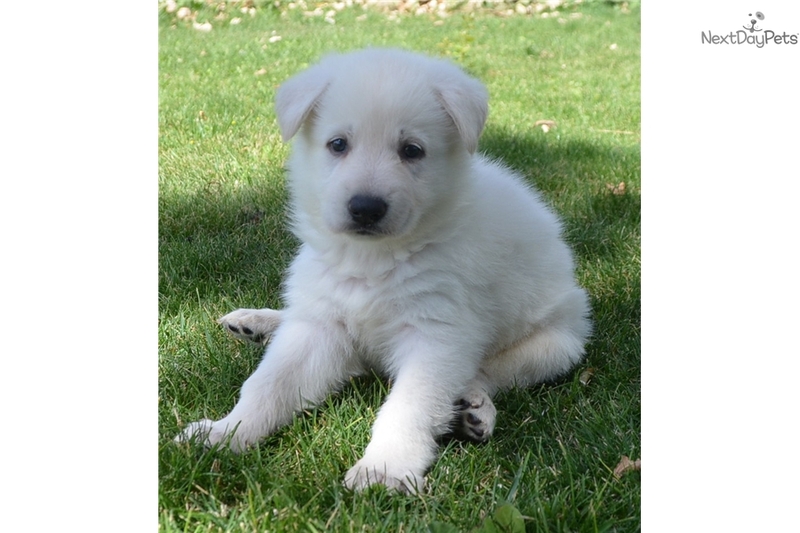 We are so pleased to offer up for sale this darling litter of german shepherd puppies. 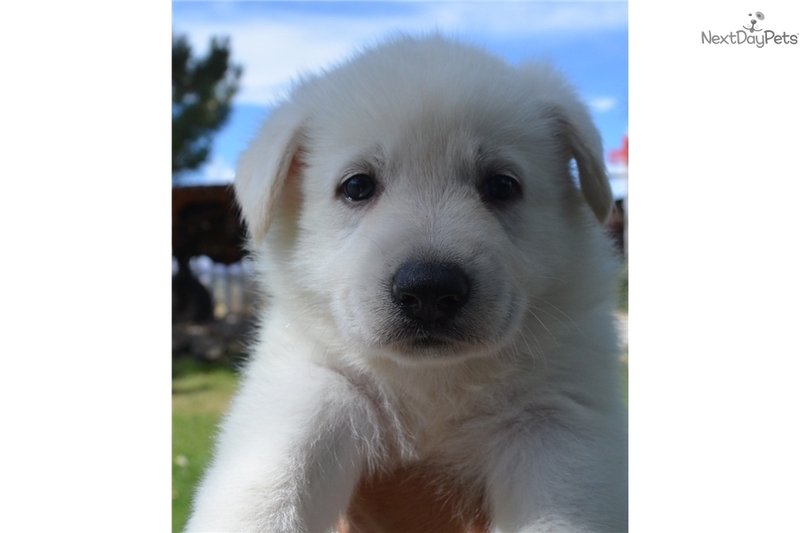 The puppies were born on July 19th and will be ready September 13th for loving new homes. The puppies are akc registered and we are offering show/breeding rights on select puppies in this litter. We have males and females currently available in black and tan and solid white. The puppies will also come with all up to date vet care, a written health guarantee, copies of parents pedigree etc. The pups are priced between $800 and $1200 depending on the puppy and if limited or full akc registration is desired. The sire of this litter is Kerstone Quarterback Sack who is champion sired. He is ofa good hips, normal elbows, normal cardiac and mdr clear. 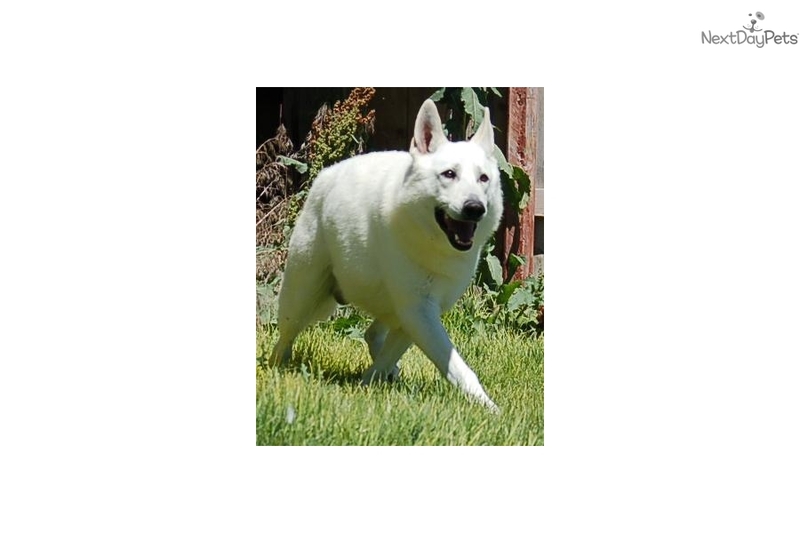 He is a gorgeous snow white boy with excellent pigmentation and impressive conformation. 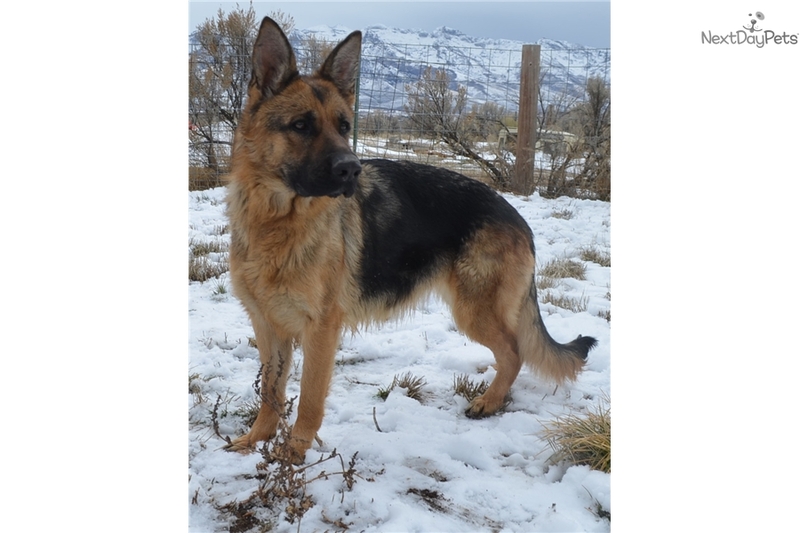 He is a showline “stallion” type shepherd with large frame, broad head and deep chest. 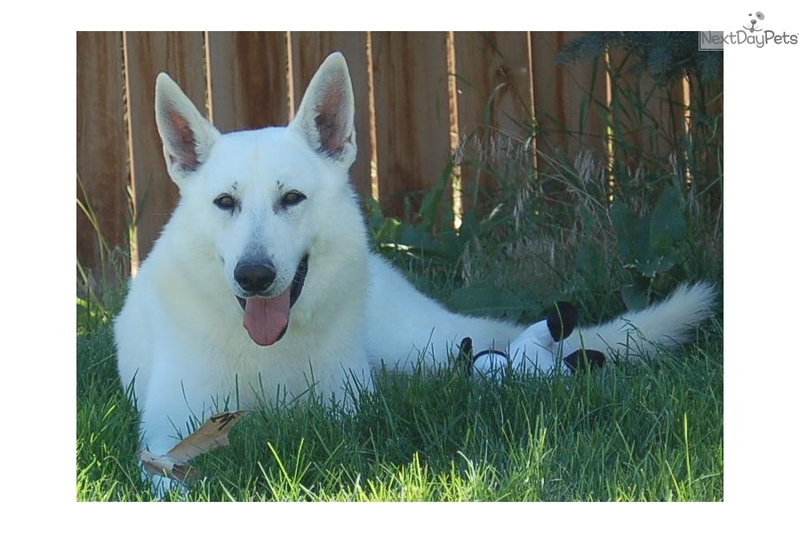 He produces pups that mature larger than average with wonderful intelligent personalities. Their mother is Milo Von Hellseeher a full European female. She is a medium black and tan/red and is ofa good on hips, elbows and cardiac well. She is a sweet girl but assertive and has been a wonderful mother. She has a pedigree full of show and working titled dogs. The puppies have been raised indoors and outside and have began housetraining here by using the doggie door. They will also be introduced to a collar and leash and will begin basic obedience. 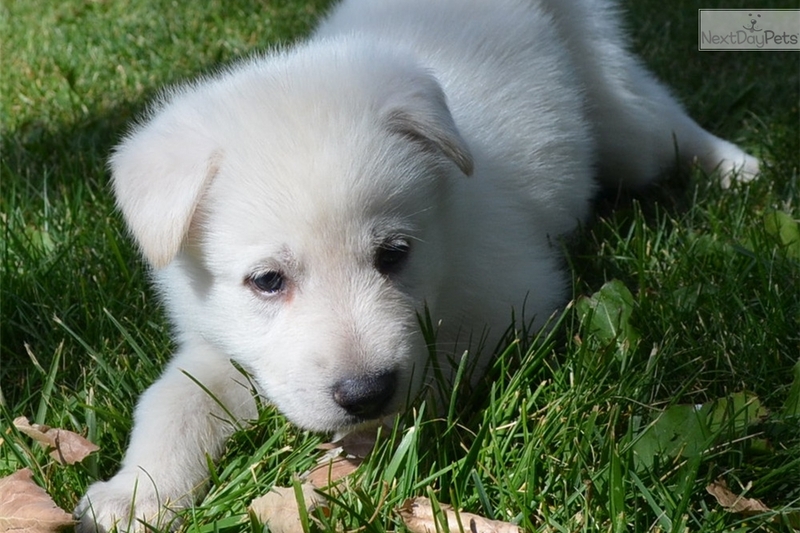 The puppies have been raised with children, cats and other gentle adult dogs for maximum socialization and to help them acclimate to any new situation. 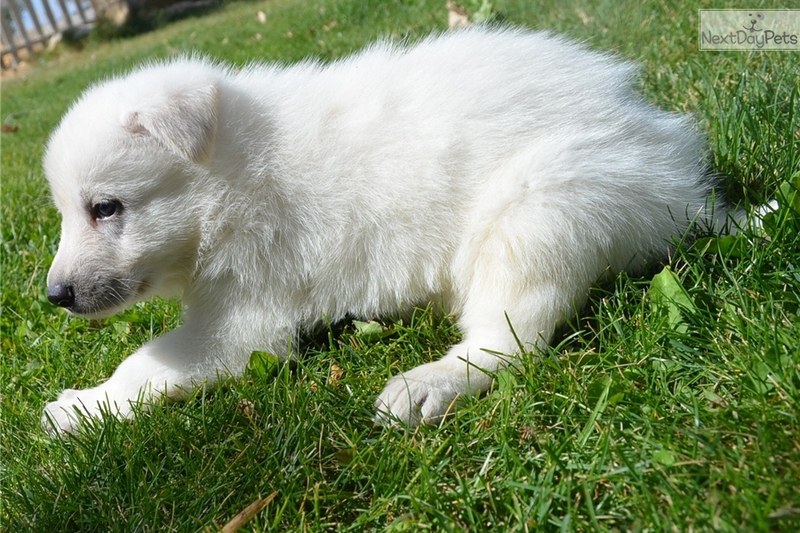 The puppies will be raised on holistic food (natures domain) for a great start in life. They will be vaccinated with Neotech brand vaccines to insure excellent immunity to parvo and distemper and wormed bi weekly to help insure no parasite growth. 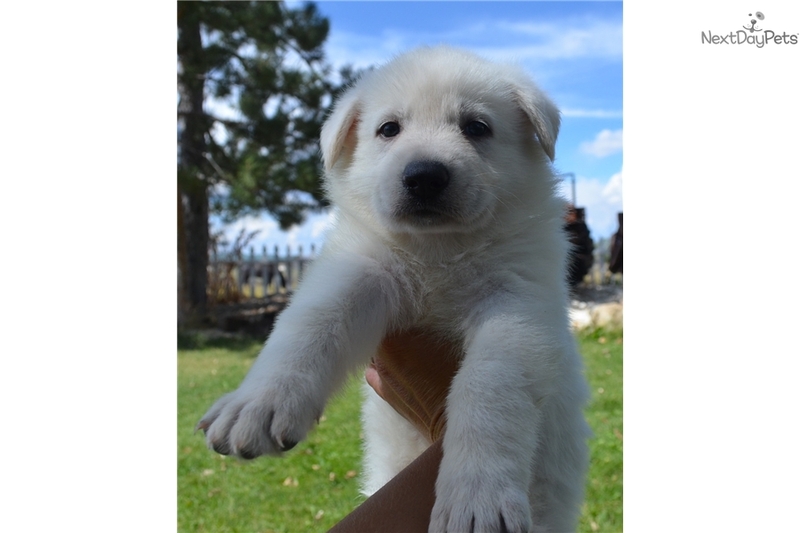 The puppies have been handled since birth to help insure confident personalities. A deposit will hold a puppy until they are ready to leave at 8 weeks old. We welcome and encourage personal pick up but due to our rural location understand that is not always possible and offer safe, experienced shipping to almost anywhere in the United States for a additional $400. We accept paypal for safe, confidential payment. Please call or text 775-340-4113 or email for more info. Happy to text or email pictures and videos.